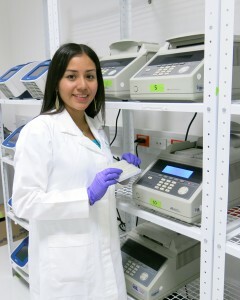 Cynthia Ortiz places DNA samples into a thermal cycler in the CIMMYT Biosciences laboratory. The Seeds of Discovery (SeeD) project seeks to empower the next generation of Mexican scientists to use maize and wheat biodiversity to effectively meet the needs of Mexican agriculture in the future. By providing professional agricultural research and development opportunities for current and future maize and wheat scientists, SeeD works to ensure that the materials they develop will reach those who need them most. For this reason, SeeD is developing a platform of publicly available data and software tools that enable the efficient use of maize and wheat genetic resources. These genetic resources, or biodiversity, include more than 28,000 maize and 140,000 wheat samples, known as accessions, that are conserved in CIMMYT’s seed bank and available to researchers worldwide. Genetic resources are the raw materials or building blocks used to develop new maize and wheat varieties needed to meet the demands of a growing population in a changing climate. Many of these maize and wheat accessions contain positive traits such as drought tolerance or disease resistance, which, if bred into new varieties, have the potential to improve food security and livelihoods in countries such as Mexico. However, the specific potential impact of SeeD on Mexican agriculture and society will only be realized if breeders and scientists effectively use the products resulting from the project. By inviting researchers, professors and students to participate in workshops, training courses and diverse research projects, a growing cadre of scientists is learning how to use the databases and software tools developed by SeeD and validating their utility. 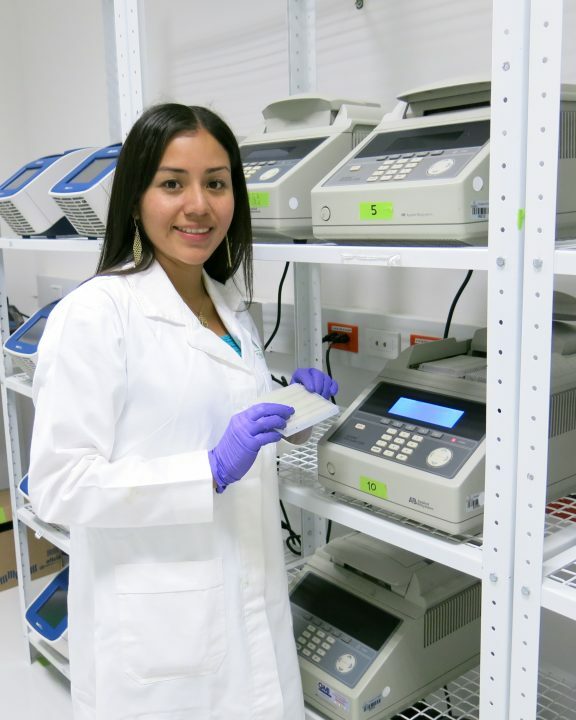 “Sharing the knowledge generated by SeeD and making it available to the scientific community will help accelerate the development of new varieties that will benefit long-term food security in Mexico and the world,” said Cynthia Ortiz, a graduate student in biotechnology at the Center for Research and Advanced Studies of the National Polytechnic Institute (CINVESTAV) in Mexico City. Ortiz is conducting research for her Master of Science thesis mentored by SeeD scientist Sukhwinder Singh, who is helping her map the quantitative trait loci (QTL) for phenological and grain yield-related traits in wheat varieties created by crossing synthetic wheat varieties with elite lines. She has participated in two SeeD workshops focusing on wheat phenotyping for heat, drought and yield as well as on the use of the maize and wheat molecular atlas, where she learned to use SeeD software such as Flapjack and CurlyWhirly to visualize the results of genetic diversity analyses. 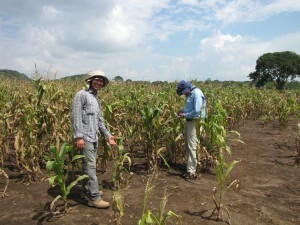 David Gonzalez (L) scores maize plants for signs of tar spot disease alongside SeeD scientist Terence Molnar (R) in the state of Chiapas, Mexico. David Gonzalez, a recent graduate of the Chapingo Autonomous University in Texcoco, a city about 30 km (20 miles) from Mexico City, agrees. He worked with SeeD scientists Sarah Hearne and Terence Molnar on his Master of Science thesis research, identifying genetic resources with resistance to the maize leaf disease “tar spot complex” (TSC) by using genome-wide association study (GWAS) and genomic selection. 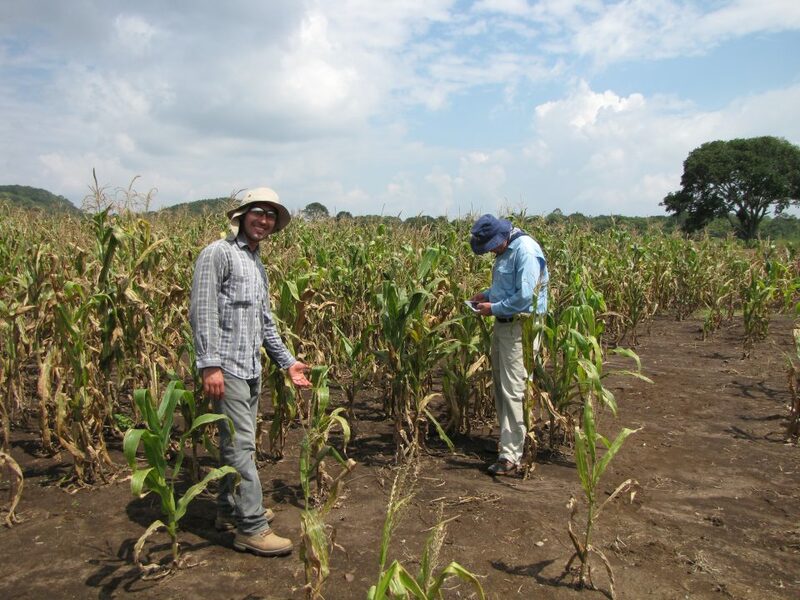 Gonzalez attended the CIMMYT training course “Technologies for Tropical Maize Improvement,” where he learned about new tools for field trial design, data analysis, doubled haploid technology, molecular markers, GWAS and genomic selection. SeeD is a joint initiative of CIMMYT and the Mexican Ministry of agriculture and rural development (SADER) through theMasAgro project. SeeD receives additional funding from the CGIAR Research Programs on Maize (MAIZE CRP) and Wheat (WHEAT CRP), and from the UK’s Biotechnology and Biological Sciences Research Council (BBSRC).